"In the Cherry Blossoms shade, there's no such things as a stranger"
It only blossoms once a year, but it is so worth the wait. 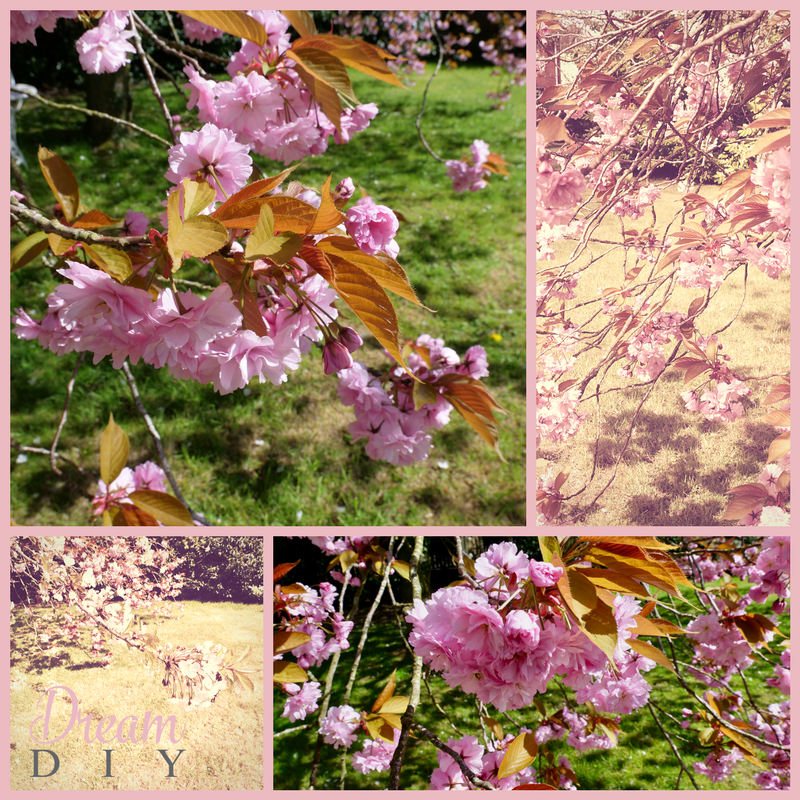 The blossom tree is by far one of the most beautiful trees that anyone can be lucky enough to have in their garden. With its beautiful spring blossom, bright summer fruits and warm autumn leaves – what better way to bring a touch of natural beauty to your home. We bought our house during the winter, so it was such a lovely surprise when spring came round to find out we had this most magnificent tree right in the centre of our front lawn. It is actually four trees that have grown into one and I have to say it is one of the most beautiful sights. I just love how it has both the pink and white blooms. Did you know that Cherry blossoms are Japan's national flower? The Cherry Blossom's light green leaves are oval shaped with a toothed edge. In autumn they’ll give your garden a warm glow, turning a rich red colour before finally dropping. The following spring, usually April, brings showy clusters of pretty white flowers, which attract a whole range of insects. The edible cherries can be bitter in taste and if you do have plans for their consumption, you will need to be quick as birds are keen contenders for the wild cherries and can be quick to strip the ripe fruit from the trees. This, however, will go full circle as a bird will kindly make its contribution to nature by scattering the seeds in its droppings - potential wild cherry trees of the future. Each year I say to myself I must capture a few pictures of the tree in bloom so yesterday seemed to be as good a day as any! I hope your enjoy! How to Plant a Your Own Fruit Tree!